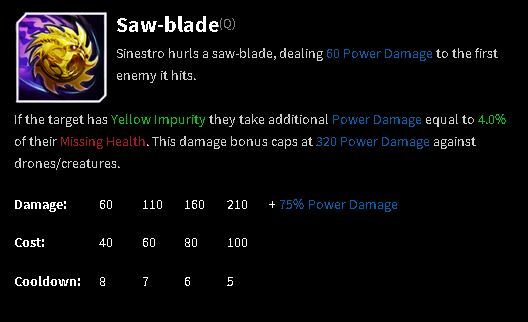 Hello my name is Pervanda and I started playing Infinite Crisis since the beta and decided to make a Sinestro guide. 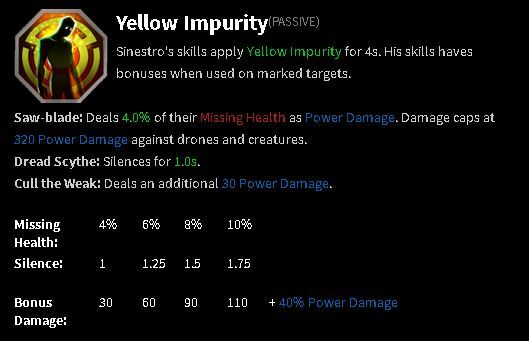 I have played over 100 Sinestro games and perfected my build on the way. Since ranked got available on IC I was number 15 on the regional leaderboards, but due to not having the time to play a lot of ranked I went down the leaderboards. 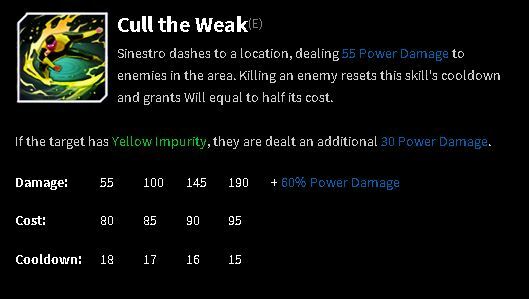 Sinestro has a kind of weird playstyle. 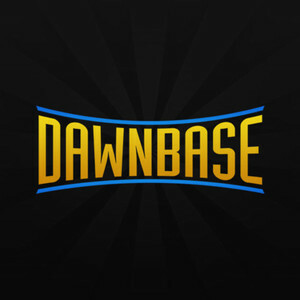 In the laning phase all you need to focus on is last hitting and assisting your team in taking objectives. Depending on your match-up you can try to harass your opponent with combo or , I usually use , but if there are no drones in between you and the opponent you can choose to use q first so you silence him and make it hard for them to counter harass. If you get him low enough and you have your ult ready you can destroy them with the normal combo. Sometimes you can have a hard time because you play against a lane bully like for instance; Joker, Green Arrow or Star Sapphire. If that is the case the only thing you can do is play safe and wait for ganks from your jungler. Late game you crush them anyway. In the mid/late game you want to roam and pick off enemies who are foolish enough to stand against you. This way you farm your way up to prepare yourself for late game where you will be having alot of teamfights. During teamfights you want to stay back and wait for the right opportunity to slaughter their marksman or blaster, or just a squishy target. Place your ult on the squishy target and try to hit multiple people with your passive and silence the whole team with your dread scythe. 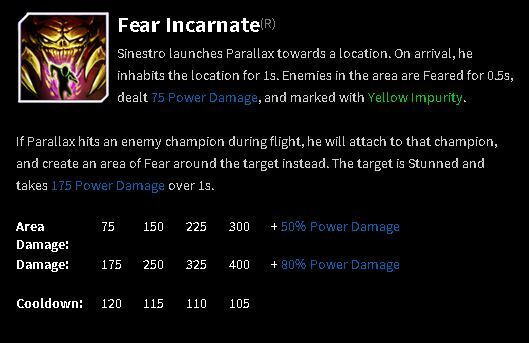 You start with The Medusa Mask (1) and Fatality's Energy Lance (1) because you will not be needing any pots to sustain in lane as Sinestro. The Medusa Mask (1) will provide you enough health and will regeneration every level to survive the laning phase. Remember do NOT upgrade The Medusa Mask (1) since it won't be necessary because you got the modifier which gives health and will upon leveling (but don't sell it either untill about level 10-15). Just play safe and upgrade your Fatality's Energy Lance (1) to Fatality's Energy Lance (4) as quickly as possible. Once you've got your Fatality's Energy Lance (4) you can try and burst the enemy down (with some help of you jungler if needed). The main combo I use is . This will do enough damage to completely rek the enemy or at least wound him enough to see him die to your meteordrop.